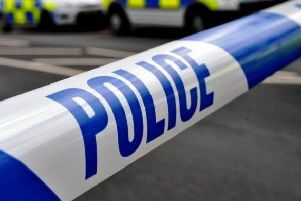 An Eastbourne-based police officer has said something needs to be done about police staffing levels. Serving PC Dave Elliott spoke out after he said he dealt with a night of domestic incidents, weapons, and assaults on ‘minimum staffing levels’. PC Elliott said on his Twitter account on Saturday (March 24), “Saturday night shift, 9pm to 7am -over 25 grade one calls (immediate response) in Eastbourne/Lewes/Weald districts, on minimum staffing levels. Chief Superintendent Nick May, divisional commander for East Sussex, said he commended the officers for their hard work. He said, “Frontline policing is challenging with our officers dealing with a wide range of issues every hour of every day. “This particular shift was a very busy one and I commend the officers for their dedication and determination throughout. “We set minimum staffing levels which we consider to be safe and sufficient to manage demand, which can be very unpredictable and which is increasing across the country. As well as officers on Response sections we also have Roads Policing and other teams from our Operations Department who support the Response officers across East Sussex. “The rise in the precept in 2018/2019 will give us the opportunity to strengthen local policing where it is most needed across Sussex and the public will feel the difference with this investment.